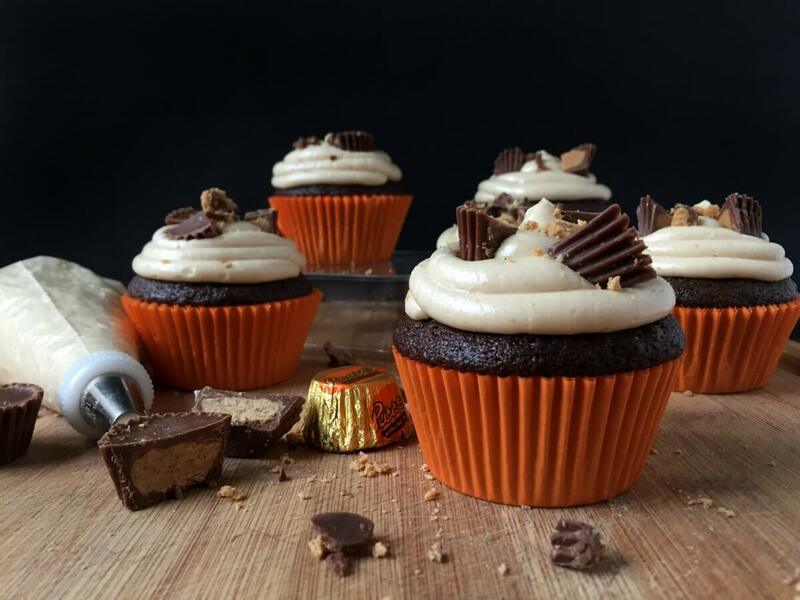 These surprise-inside Reese’s peanut butter cupcakes are ridiculously easy to make and impress ANY cupcake connoisseur. You will not believe the simple secret to the best-tasting, creamiest and dreamiest peanut butter buttercream frosting! Let’s get started. My husband is not a big fan of sweets which is one of life’s quirkier bits. Why? Because I will always choose sweet over savory. I’ve tried so many desserts to find one my husband RAVES about. These peanut butter cup cupcakes with peanut butter buttercream frosting are THE breakout hit for my husband and everyone who tries them. When I make these, they’re gone in a flash. Friends, they are that good. 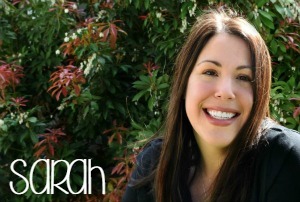 I share mostly dessert recipes here on Ruffles and Rain Boots. After trying many techniques, I’m going to tell it to you straight: read these tips for the best peanut butter cupcakes. On the chance you’re transporting cupcakes, see my tip at the end. Freeze the mini peanut butter cups. When you bite into this cupcake and see the cup, there are “oohs and ahhhs,” people. Make these a day in advance and store them on the counter. The icing will get a nice crust and people will think you picked them up at a fancy boutique bakery. If you have the time (and any cups left), scatter a few among the cupcakes. People will salivate in anticipation. If you have high-temperatures (outside in Texas in the summer, for example), do not add the icing until just before serving. Buttercream is best when it’s not melting… It will melt. Use the biggest round tip you can find for that posh cupcake look. Pipe large spirals, starting from the outside for the boutique bakery look. 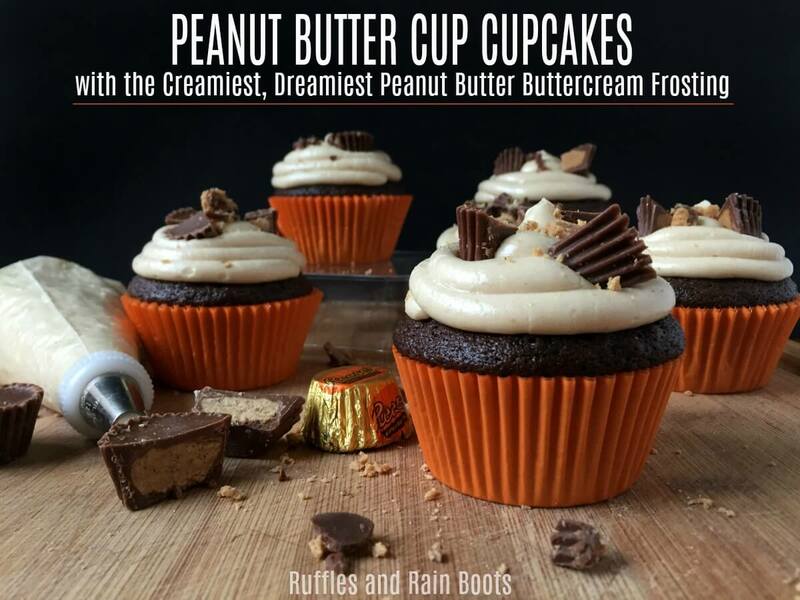 Add a few pieces of broken peanut butter cup to the cupcakes after icing them. The icing should be relatively stiff to hold the beautiful shape you pipe. Add milk (or buttermilk) sparingly and slowly. Incorporate the liquid fully before adding more. 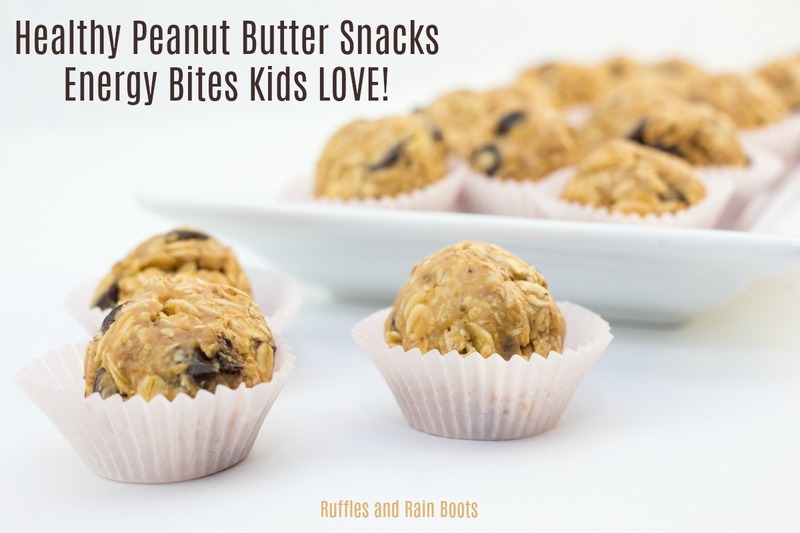 Related Reading: Healthy Peanut Butter Energy Balls (The Kids LOVE Them)! If you love peanut butter, be sure to check our amazing (and healthy) energy snacks. They’re SO quick to make and are a favorite with kids! 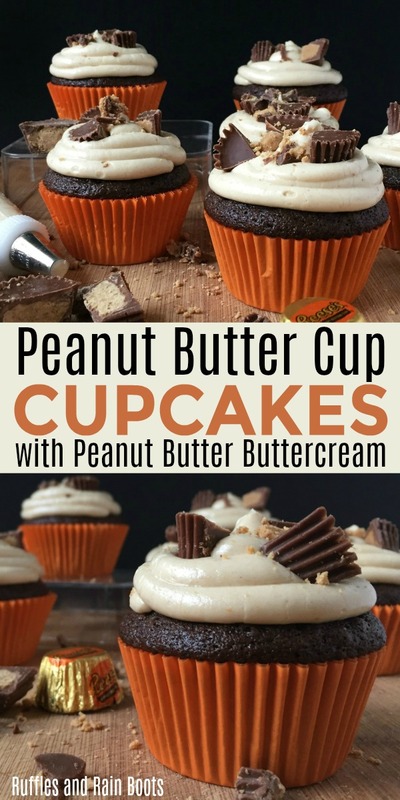 Note: if you want to use a boxed cake mix for the peanut butter cupcakes, try this one. Full disclosure: I haven’t made it these cupcakes with a boxed mix. Preheat the oven to 350 degrees. Line a muffin tin with cupcake liners (2 per cavity), orange if you have them. I got mine here because they were hard to find locally. In a medium bowl, combine flour, cocoa powder, baking soda and powder, and salt. In a large bowl, combine eggs, both sugars, milk, oil, and extract. Add about half of the dry mix to the wet and stir to combine. Stir as little as possible and add the rest of the dry mix. Fill the cavities 2/3 of the way and give the pan a rap on the counter. Remove the Reese’s cups from the freezer, unwrap, and insert one into each cupcake, pressing until covered. Chop up a few (5-7) mini peanut butter cups for garnish. 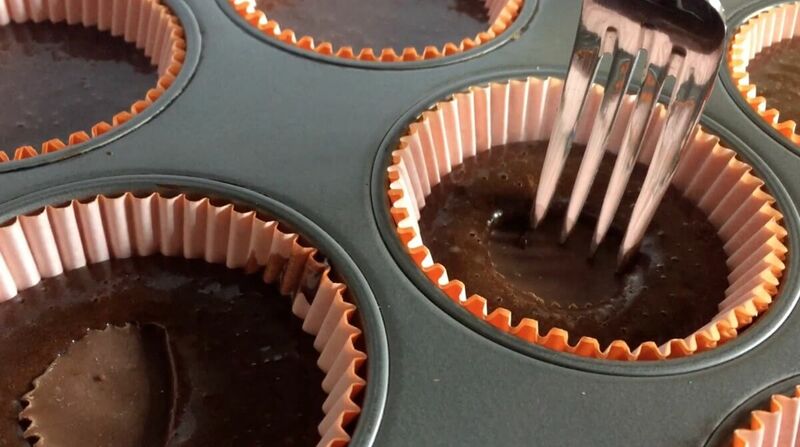 Bake the chocolate cupcakes for 20 minutes (18-21) or until a toothpick comes out clean. While they’re baking, make the creamiest, dreamiest peanut butter frosting you’ve EVER tasted. This is, hands down, the best peanut butter buttercream frosting you will ever taste. Use a hand mixer and beat the butter and peanut butter until they are smooth. Add the milk, vanilla, and half of the sugar. Add another cup of sugar and check the consistency (and taste). Load the frosting into a pastry bag fitted with a large round tip. Frost the cupcakes and press in small pieces of chopped Reese’s cups. 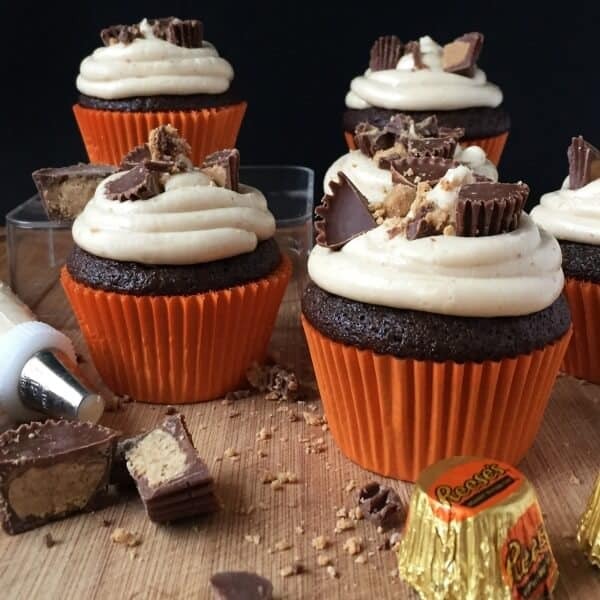 These surprise-inside Reese's peanut butter cupcakes are ridiculously easy to make and impress ANY cupcake connoisseur. ﻿Use a hand mixer and beat the butter and peanut butter until they are smooth. Add the milk, vanilla, and half of the sugar. Add another cup of sugar and check the consistency (and taste). When the frosting is too thin, runny, or won’t pipe and stay in place, add in small amounts of powdered sugar, incorporating fully before adding more. If the frosting is too thick, lumpy, or won’t pipe easily, you might have added too much sugar. Add milk in very small increments, incorporating completely before adding more. Transporting cupcakes can be maddening. Since I found this carrier, I have never delivered a crushed cupcake. And now it’s time to load up the car for a birthday celebration a few hours away. Speaking of a celebration, would you please share this on Pinterest or Facebook? Your shares are how we grow and we are sincerely grateful. My mouth is salivating reading about these! Good Lord these look delicious. As a peanut butter cup fanatic, I approve this message!